Bella Vista Residential's spacious apartments come in two different types: Type Confort and Type Premium. There is a 4-person Confort apartment with two bedrooms and one bathroom (ES-03780-01). There's also a 6-person Confort apartment with three bedrooms, two bathrooms and air conditioning in the living room (ES-03780-05). The apartments have attractive interiors and are all equipped with a washing machine. They are situated on different floors and consist of one or two levels. Views vary from a sea view to views of the surrounding mountains to a view of the central area of the park. The central amenities area offers a Wi-Fi connection. The Premium apartments are spacious, modern apartments with luxurious interiors, situated in a separate part of the building. They come in two different types, one of which is the 4-person apartment with two bedrooms and two luxury bathrooms (ES-03780-02). 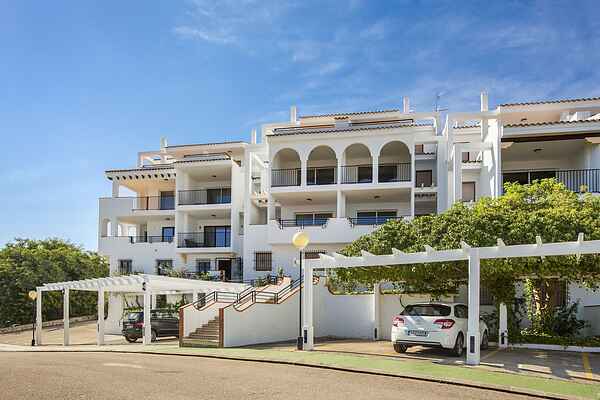 There's also a 6-person apartment with three bedrooms and two luxury bathrooms (ES-03780-06). Both types have air conditioning, a washing machine, dishwasher, a whirlpool in one of the bathrooms, and free Wi-Fi. All apartments offer magnificent, uninterrupted views across the Mediterranean Sea. If you book a Premium apartment, you'll have free access to the indoor swimming pool, a separate outdoor swimming pool, the sauna, Turkish steam bath, Jacuzzi and fitness facilities. All apartments feature a (covered) balcony or terrace and garden furniture.